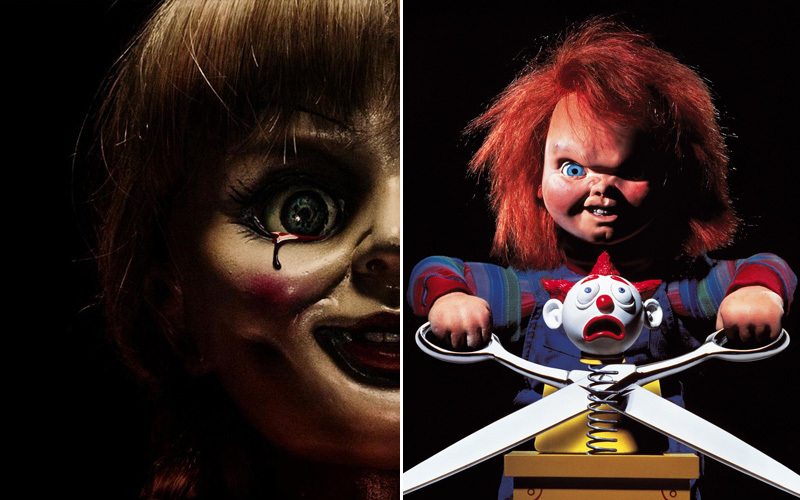 After spending thirty years as the unopposed king of doll-related horror, Child’s Play creator Don Mancini sees an opportunity for a potentially big payday by allowing Chucky to meet the one and only Annabelle. Annabelle is currently a hit in US theaters, having earned just over $37 million in its opening weekend alone. Critics have slammed the film across the board, including our own horror-loving James Shotwell, but audiences are still turning out in droves. No plans for a sequel have been made public at this point, but considering how successful the film has been up to this point it seems safe to assume Annabelle will become a Halloween regular in the years ahead. Chucky has not appeared in theaters since Seed Of Chucky was released in 2004. That said, he did make a comeback on the VOD market last year with the critically acclaimed Curse Of Chucky. We do not know how much that film made, but rumors persist that another Child’s Play film is in the works. The biggest problem I see in combining these two worlds is that Annabelle does not move or talk. Compared to Tiffany, who is otherwise known as the bride of Chucky, she does not seem to possess any powers or skills that would be useful to Chucky. Also, Annabelle’s stories up to this point have taken place in the 1960s and 1970s, but Chucky was not even in existence until the late 1980s. A cross-over would require some serious stretches of the imagination, but I am confident horror fans would be willing to make the leap if they thought the story would be good. Would you like to see Annabelle meet Chucky? Personally, I’d like to see Chuck rip that doll to shreds. Comment below and let us know your thoughts.